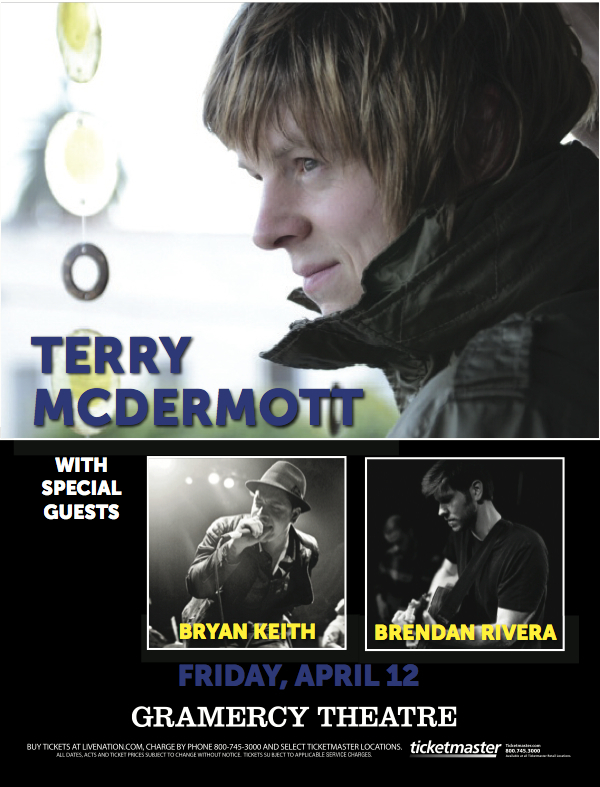 Terry McDermott To Perform At Gramercy Theatre, New York On April 12, 2013 -- Free Tickets Here! The Voice US Season 3 first runner-up Terry McDermott (oh, I love his accent) will be performing at Gramercy Theatre in New York on Friday, April 12, 2013 7:00 PM. He will be joined by Bryan Keith, fellow The Voice contestant and native of Bronx, New York, and Irish-Americana indie rock singer, Brendan Rivera. Free tickets will be given away here at Kernel's Corner! You can join the contest by (1) posting a comment below with your full name (together with a special someone if you like) and address, or (2) by tweeting with the hash tag #TerryMcDermottAtGramercy and by tagging @TerryMacMusic and @GramercyTheatre as well. The two lucky winners will be revealed on April 11. The winners will be on the guest list and will need to bring ID to claim the tix on the venue. You can also buy some tickets for the concert over Live Nation. Know more about Terry McDermott on his official website. I am pleased to announce that the following won tickets for Terry McDermott's concert at Gramercy Theatre in New York on April 12, 2013 7PM. The ticket's only valid for registered names and may not be transferrable. Contact Rachel Pesin on 973-489-3767 for further information. Said names will be on the guest list and just need to bring ID to claim the tix. * Please note that travel expenses are not covered. I wanna win tickets sooooo bad!! !